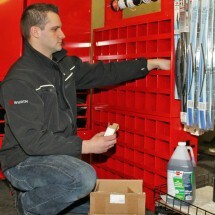 Wurth USA customers are protected from overstock with our Obsolescence Program. We will buy back obsolete products* purchased from previous suppliers to ensure that you have only the products you want in the quantities you need. We will provide a written estimate of the old inventory and, for a period of 12 months after the date, credit for that amount will be given towards future Würth purchases.